Sports broadcaster Jim White has sparked enormous debate online today, by announcing that Wayne Rooney will be dropped for England’s tie in Slovenia and that either Jordan Henderson or Gary Cahill will take the armband. The Manchester United captain was booed on Saturday after another average Three Lions performance, with most suggesting his time in the national team should now be ended by Gareth Southgate. Henderson captains Liverpool and is a far more natural leader than Cahill, who has rarely worn the armband throughout his career. As a result, many believe it’s our skipper who’ll get the nod, especially after his Man of the Match performance against Malta last time out. While Liverpool fans have reacted positively to the news, there’s been much debate among other fans whether the 26-year-old is suitable, which we hope doesn’t affect his confidence. He’s been top notch all season and it’s crucial Henderson keeps in a positive frame of mind. Widespread reports that Wayne Rooney will be dropped to the bench for England vs Slovenia, meaning Jordan Henderson could captain the side. It seems that Jordan Henderson could captain England against Slovenia, if Southgate drops Rooney. 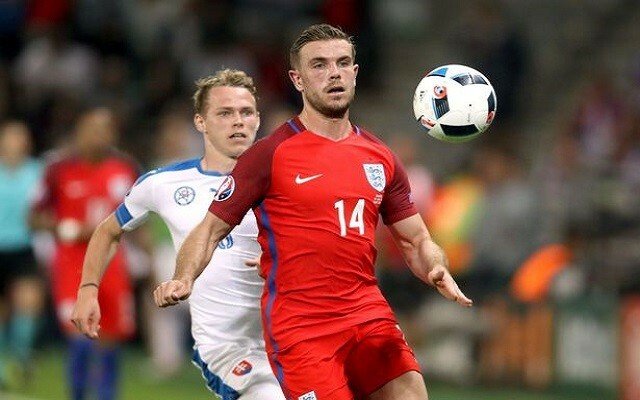 Henderson set to take the captains armband next game for England if rumours are true, with Rooney being dropped! Scenes if Henderson is named captain ???? Jordan Henderson set to captain England against Slovenia tomorrow night.